In the years since 1947, L & A Contracting Company has completed hundreds of jobs across the Southeastern United States. The vast majority of these jobs have been in heavy civil construction, more specifically, the construction of roads and bridges. The following is a glimpse as to what we have accomplished in the past, as well as some of the jobs we are working on now and what we hope to be working towards in the future. L & A Contracting Company took the opportunity to expand operations into Florida in the early 1960's. Over the next thirty years L & A Contracting was influential in much of the expanding infrastructure in many different areas across the state. Projects like the I-95 through Miami. 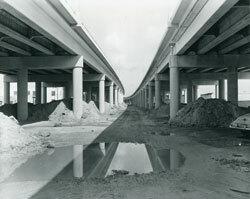 L & A Contracting built the vast majority of the elevated portions of I-95 as well as much of the concrete roadway in the 1960's. 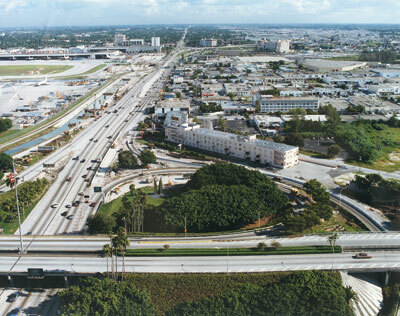 In 1970, L & A Contracting was awarded the contract for the construction of the Midtown Interchange (pictured below) in Miami. 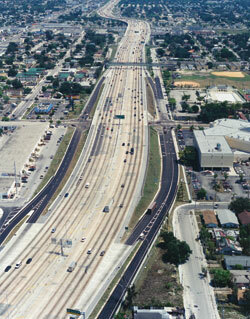 At the time the project began, it was the largest contract ever let by the Florida Department of Transportation. The above pictured project is one in which L & A Contracting Company takes great pride. 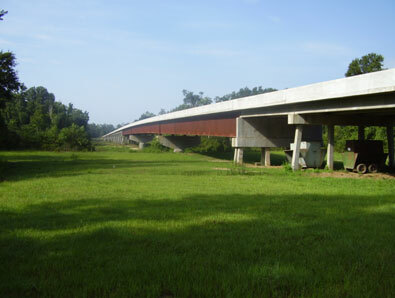 It is a 2600 ft. long precast, post-tensioned prestressed concrete bridge on U.S. 98 crossing the Gulf Intracoastal Waterway near Port St. Joe in Gulf County, Florida. The project received the Design Award for excellence in architectural and engineering design from the Precast/Prestressed Concrete Institute. 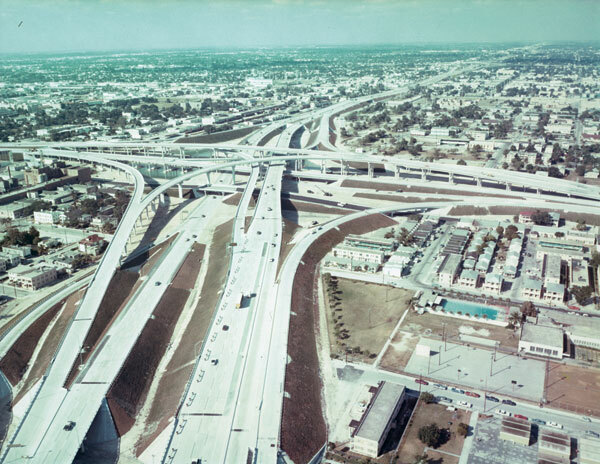 The portion of I-95, pictured left, was originally built by L & A Contracting in the mid 1960's. 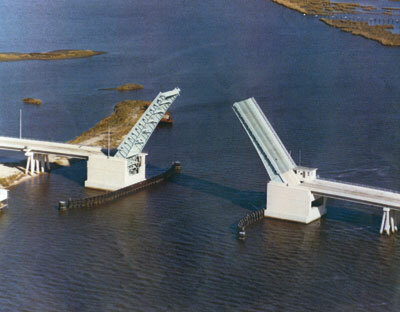 L & A Contracting Company then won the contract to widen both the roadway and bridge in 1995. 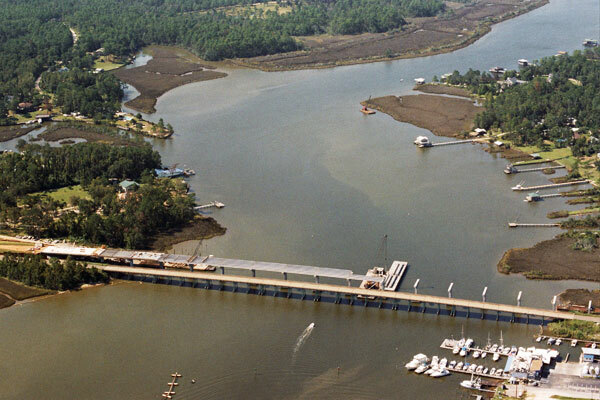 The LeJune Roadway and Bridges, (pictured below) were constructed by L & A Contracting Company in the early 1980's. The primary purpose for this project was to accommodate the rapidly growing need for access to Miami International Airport. 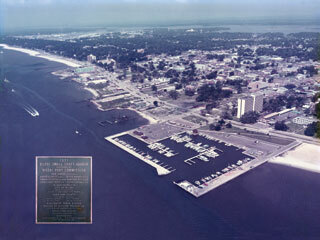 L & A Contracting Company was awarded the contract to build the Biloxi Small Craft Harbor in the summer of 1970. The job was completed and opened in 1971. The Small Craft Harbor remained in operation until it was completely destroyed by Hurricane Katrina. Following Hurricane Katrina's destruction, L & A bid on, and was awarded the contract for the reconstruction in 2007 and completed the project in 2008. L & A Contracting was able to perform some valuable engineering to greatly increase the harbor's strength, structural integrity and durability through the use of precast concrete panels. 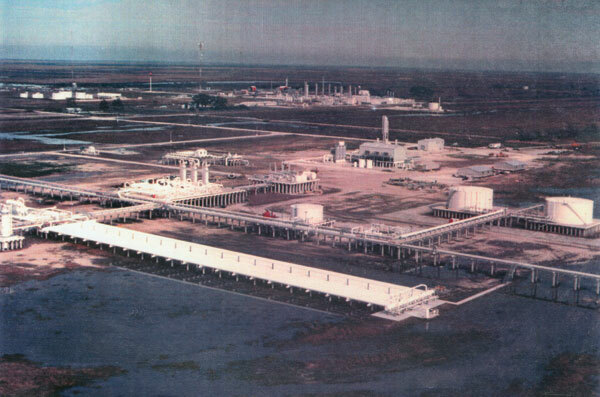 L & A Contracting Company was very influential in the modernization of facilities and upgrading of infrastructure for the oil field industry throughout Mississippi, Louisiana and along the Gulf Coast. L & A Contracting Company was also involved in an extensive revitalization project of many offshore drilling rigs in the Gulf of Mexico. This involved the repairing of corroded piers and columns. 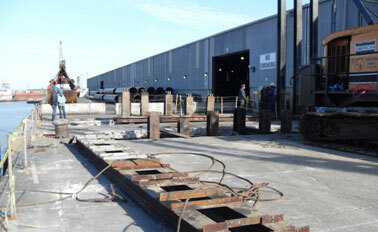 The repairs were done through a highly technical process developed by L & A engineers. The above pictured project was completed for the Tennessee Gas Pipeline. It was a storage facility for natural gas being pumped in from offshore. Other clients included: Shell Oil Company, Tennessee Gas Company, Transcontinental Gas Company, Michigan-Wisconsin Oil Company and Tenneco Oil Company. L & A Contracting Company built the approaches, fixed spans and all other concrete components that make up the drawbridge on Popps Ferry Road in Biloxi, MS, and provides access to Highway 90 from I-10. The draw spans themselves were built in Japan and were procured and set in place by L & A Contracting Company. The Leaf River Bridge was a Mississippi State Aid Project. It now provides the Beaumont Community with access directly with Highway 98, via Highway 15. L & A Contracting was given the notice to proceed in July 2003 and put traffic on the bridge in August 2005. 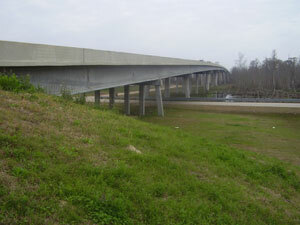 L & A Contracting Company constructed the East Fowl River Bridge in Mobile, AL from July 2005 thru March 2007. All of the dirt-work in the roadway and approaches were done in house, as well as the redesign of the sheet pile wall required to keep the existing bridge in use for the duration of the project. L & A Contracting Company built the I-10 bridge over the Jordan River. 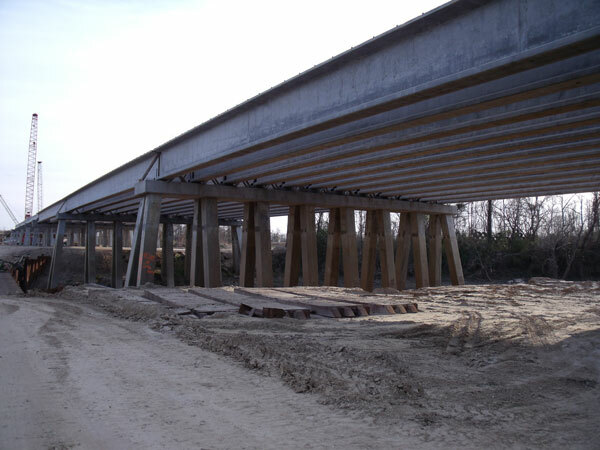 The project was awarded to L & A Contracting by the Mississippi Department of Transportation in 2001 and was completed in 2004. L & A Contracting Company constructed the bridge over Bayou Bernard in Gulfport, MS. L & A Contracting was awarded the contract by the Mississippi Department of Transportation in 1996 and it was completed in 1999. It was the first bridge in Mississippi to be supported by 36 inch concrete pipe pile. 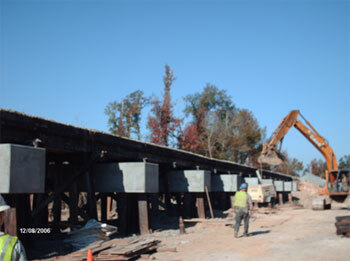 The I-10 Bridge over the Pearl River was a project awarded to L & A Contracting Company by the LDOTD. L & A Contracting Company's Railroad Division was established in 2005. Since that time, we have completed several jobs for Canadian National and CSX Railroads. The pictured project to the left is the replacement of a timber railroad bridge with a modern precast concrete bridge with steel piling. This project was part of a modernization program for CN to update bridges all over the country. We have also completed many jobs for CSX Railroad. L & A Contracting has recently been awarded the contract for the repair or reconstruction of 11 fender systems along the Gulf Coast. The locations of these fender systems stretch from New Orleans to Mobile. One of our ongoing projects is the refurbishment of the Chalmette Port Authority's Dock Number 2 on the Mississippi River. 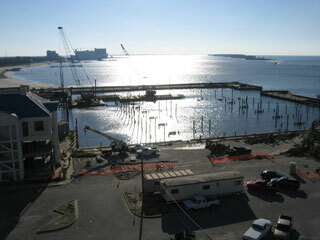 The Dock is in need of extensive repair due to both age and Hurricane Katrina. L & A Contracting Company was able to save the Port Authority both time and money through value engineering. Just like at the Biloxi Small Craft Harbor, precast concrete panels and a poured in place concrete topping slab will be used in lieu of stay-in-place deck forms and a thicker slab. The precast panels are a much more efficient, stronger method of construction. Another project currently under construction is the East Baton Rouge Central Thruway. L & A Contracting Company has been awarded the contract to build two bridges associated with the Thruway Project. The two bridges are close in proximity. One is over the Comite River and one is over Beaver Bayou. They are about 5,000 feet in combined length. 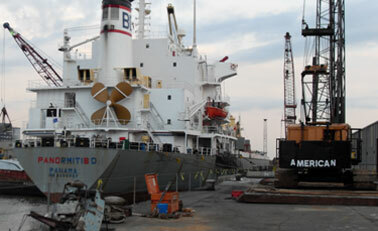 The project is currently ahead of schedule and should be completed in September 2010.